Are you over the summer yet? i knowwwww i don't want summer to end but because its been so rainy here it feels like it has! I feel like I need a few more beach days, and a few more meals outdoors. No, I'm definitely not over summer yet! It still hasn't been very hot here, so I feel like summer hasn't really even started. It's so weird. But I want to make more trips to the beach too! Hopefully it warms up here soon. these pictures are absolutely fabulous! i love cupcakes and cashmere. thanks for stopping by my blog :) hope to see you there more often. Definitely NOT over summer. I love fall, but I LONG for summer come January! Fab pics. I will NEVER be over summer!! And I can't wait for JS tonight!!! GTL!!!!! Oh, I'm with you on the iced coffees! One of my favorite summer pre-work treats. We're heading out of the depths of winter...so I say bring on sunny days! 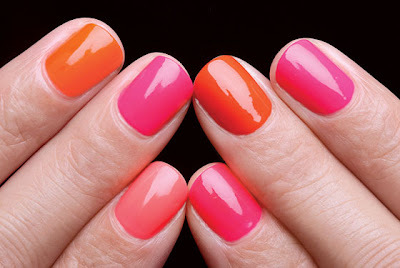 Love the bright popping nail polish pic..